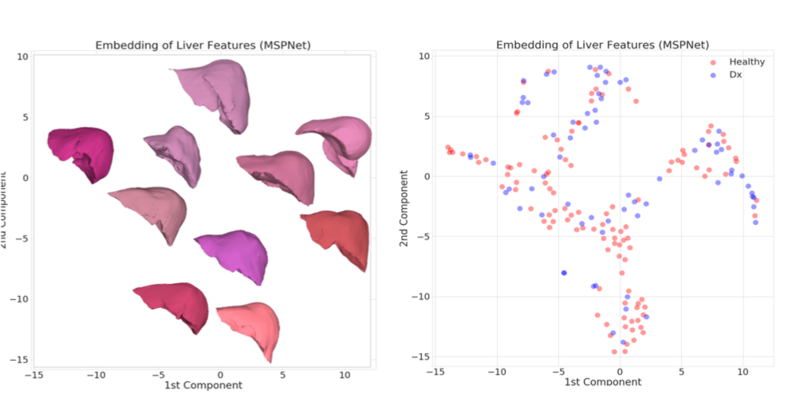 Our paper “Learning a Conditional Generative Model for Anatomical Shape Analysis” has been accepted to be presented at “Information Processing in Medical Imaging” (IPMI) 2019. The conference will take place in Hong Kong between the 2th and 7th of June. Interview in the current issue of Münchner Uni Magazin on Artificial Intelligence. Importance of artificial intelligence for the analysis of medical images. Check out our Webservice for brain segmentation. Our Paper titled “QuickNAT: A Fully Convolutional Network for Quick and Accurate Segmentation of Neuroanatomy” has been accepted for publication at NeuroImage. Our paper Recalibrating Fully Convolutional Networks with Spatial and Channel ‘Squeeze & Excitation’ Blocks, has been accepted at IEEE Transactions on Medical Imaging. Our paper Deep Shape Analysis on Abdominal Organs for Diabetes Prediction has been accepted for presentation at the ShapeMI workshop, a sattelite event at MICCAI 2018. Our work on Keypoint Transfer for Fast Whole-Body Segmentation has been accepted at IEEE Transactions on Medical Imaging. Check out the Video Animation of the Algorithm! Three papers accepted at MICCAI 2018! Deep Multi-Structural Shape Analysis: Application to Neuroanatomy. Inherent Brain Segmentation Quality Control from Fully ConvNet Monte Carlo Sampling. Concurrent Spatial and Channel Squeeze & Excitation in Fully Convolutional Networks. We co-organize the workshop ShapeMI: Shape in Medical Imaging, which is held in conjunction with MICCAI 2018. Submit your work! New article in Biological Psychiatry! Our work on A Longitudinal Imaging Genetics Study of Neuroanatomical Asymmetry in Alzheimer’s Disease has been accepted for publication in Biological Psychiatry. Our most recent work on using uncertainty in age estimation to measure abnormal brain development has been accepted for publication in Neuroimage! The preprint version is already available in arXiv. Our team members Benjamin Gutierrrez and Abhijit Guha Roy presented our current projects on SAP’s first Machine Learning Research Retreat. Interview with Sophia Haegerich on our Brain Age Anomaly project with SAP and the future of AI in healthcare. We are happy to announce that Abhijit Guha Roy was one of 12 students nominated for the Young Scientist Award at MICCAI 2017. Our MICCAI 2017 papers “A Multi-Armed Bandit to Smartly Select a Training Set from Big Medical Data” by Benjamin Gutierrez and “Error Corrective Boosting for Learning Fully Convolutional Networks with Limited Data” by Abhijit Guha Roy obtained a Student Travel Award. Christian Wachinger received funding for creating a junior research group on “Computational Population Modeling from Big Medical Image Data” from Zentrum Digitalisierung Bayern. Using BrainPrint to compute brain asymmetry, we found that asymmetry increases with the progression of dementia. Whole-brain Analysis Reveals Increased Neuroanatomical Asymmetries in Dementia for Hippocampus and Amygdala (PDF).